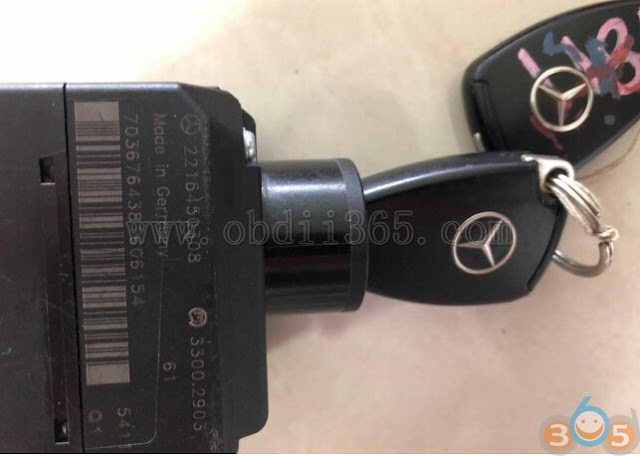 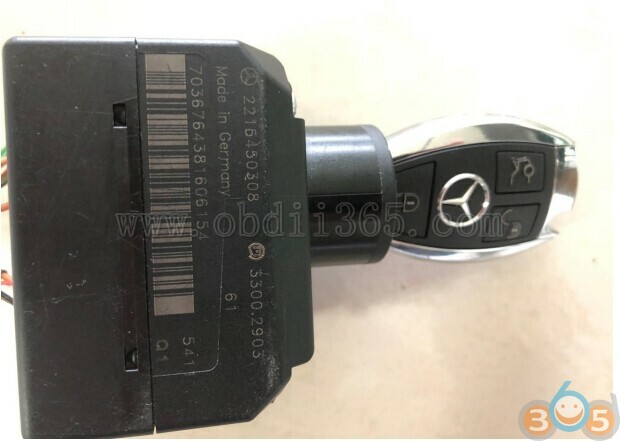 When we try to program a new key into Mercedes, we find that the all key positions are used. We need to erase EIS at this time and then program new key. 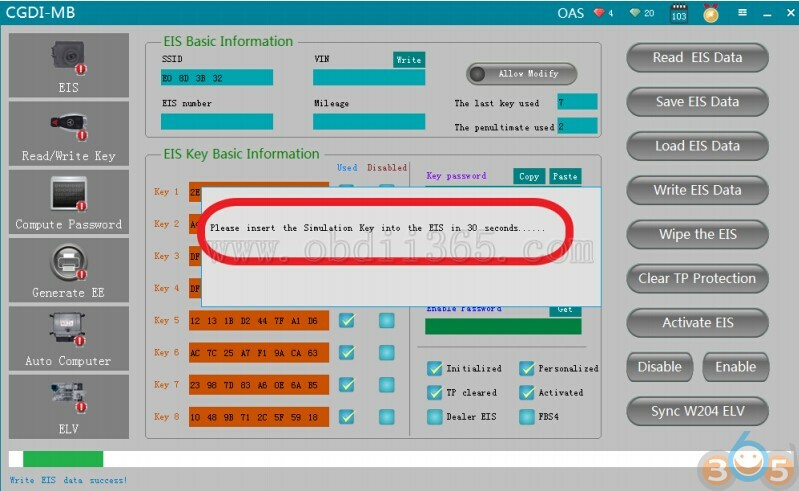 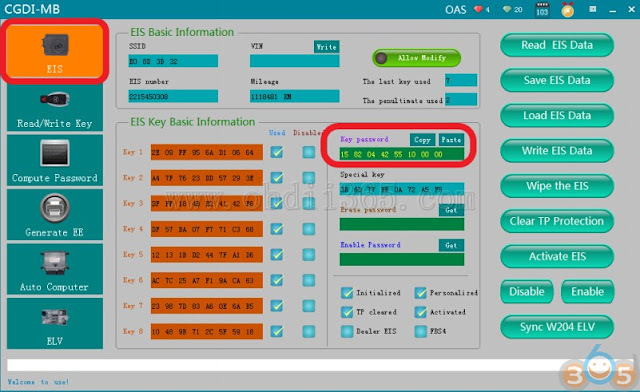 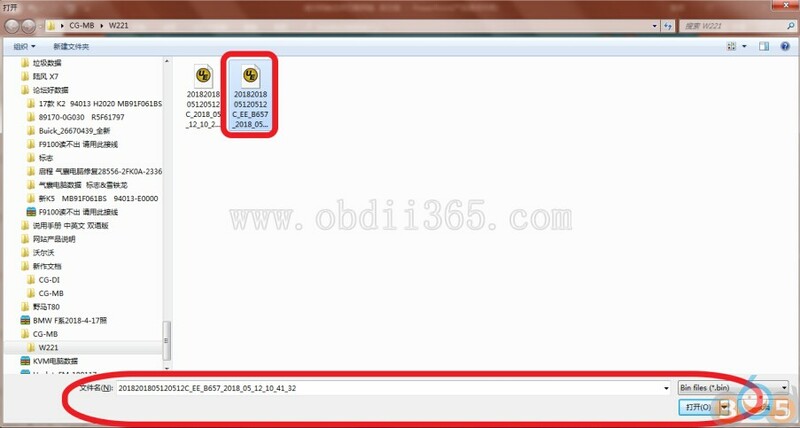 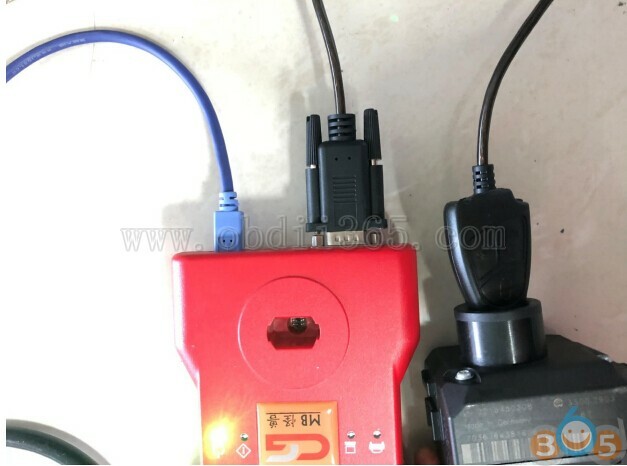 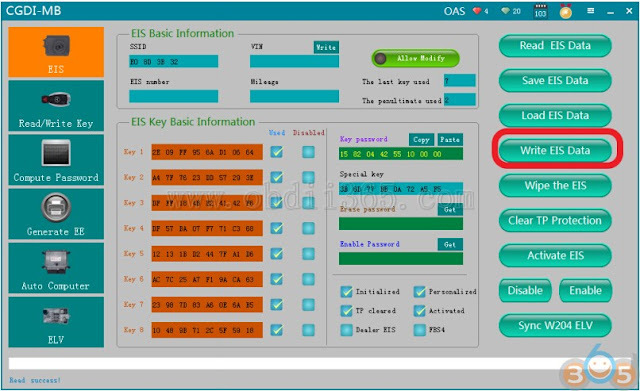 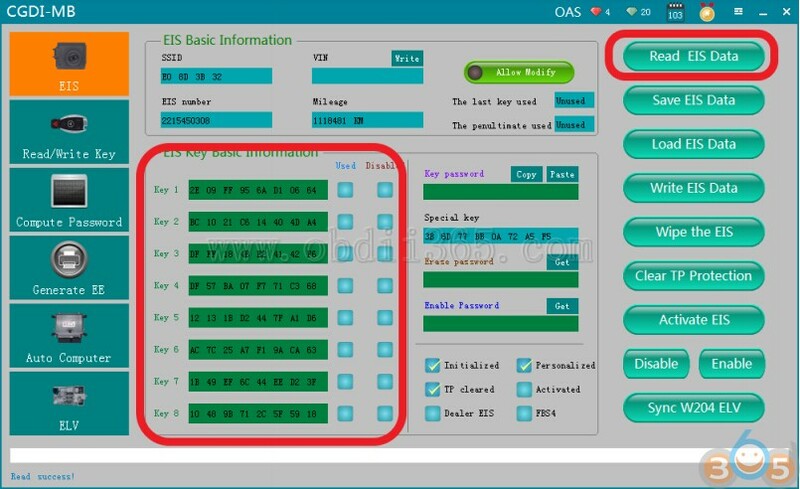 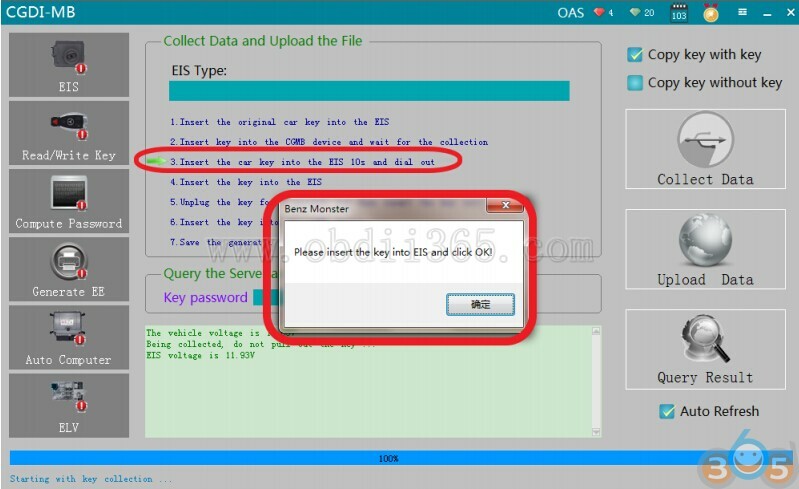 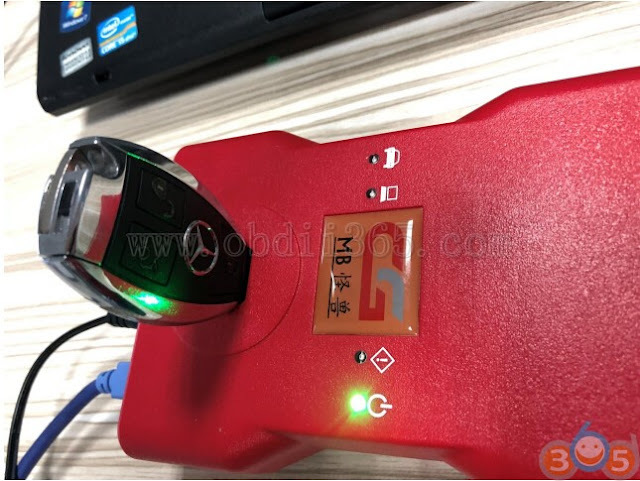 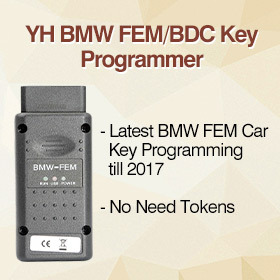 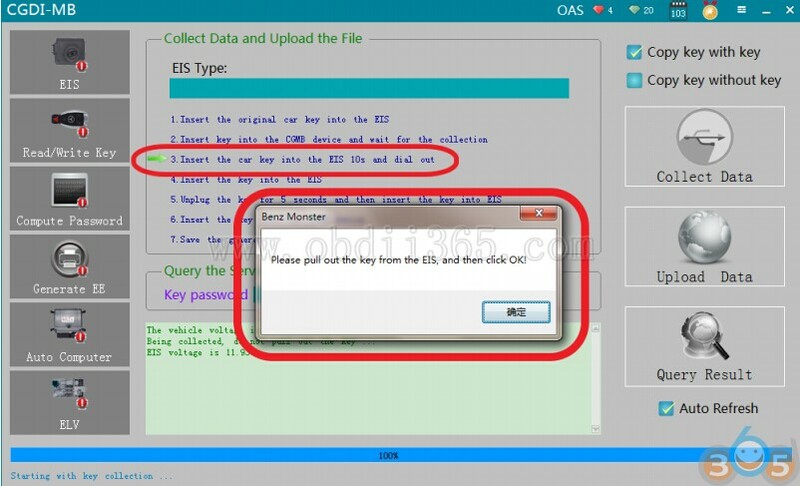 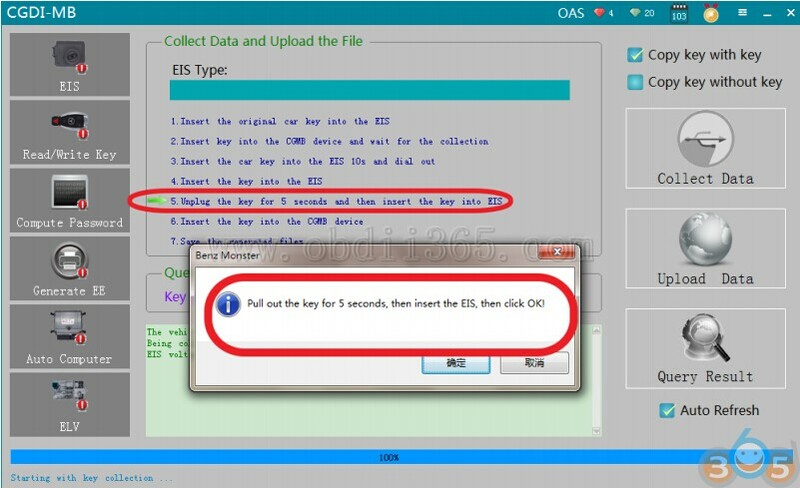 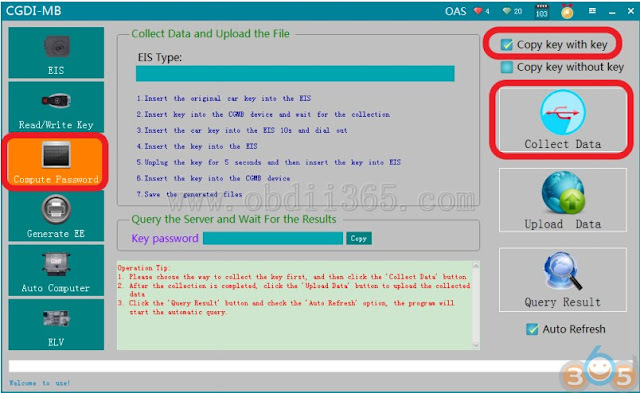 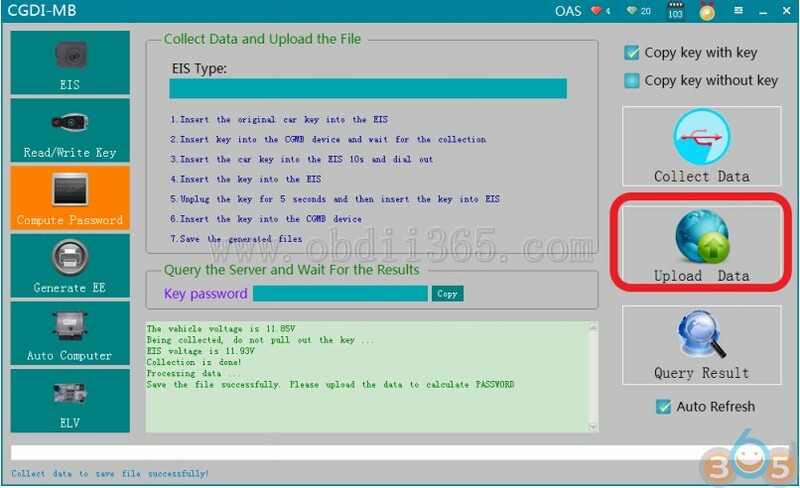 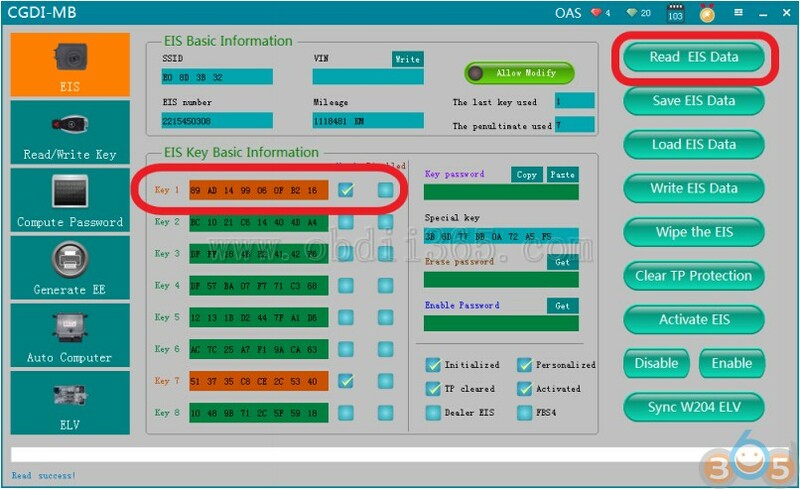 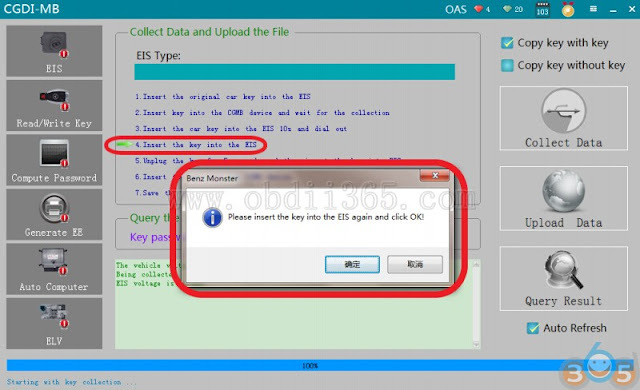 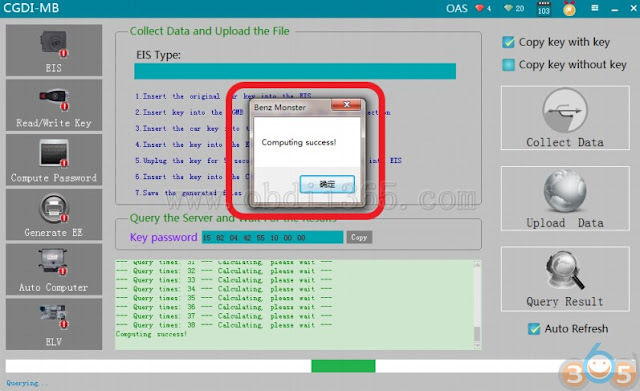 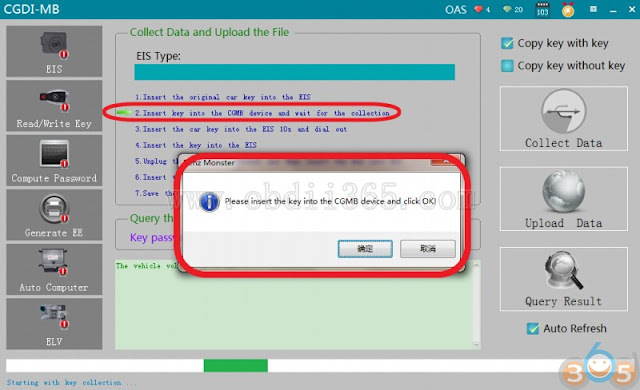 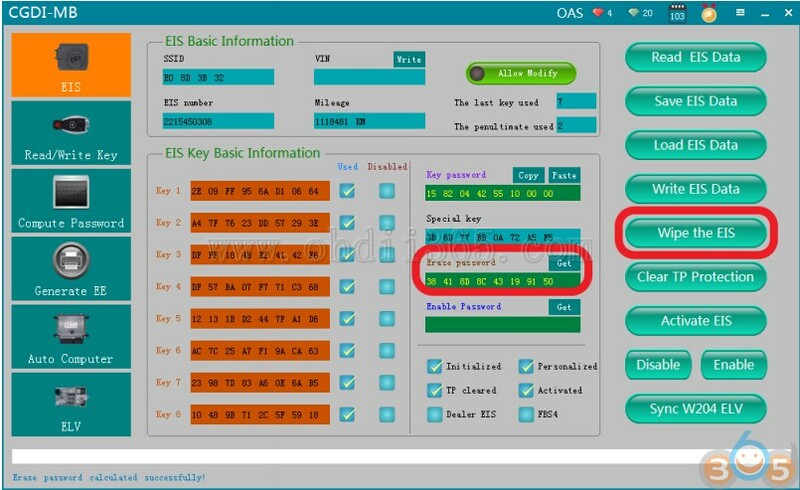 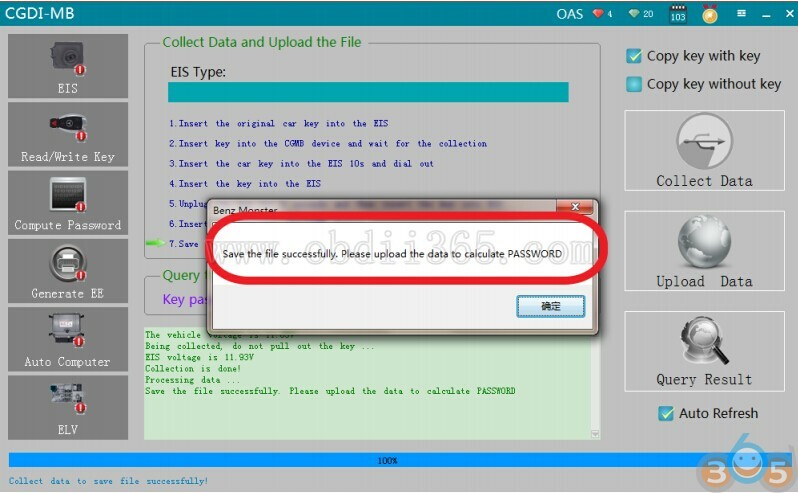 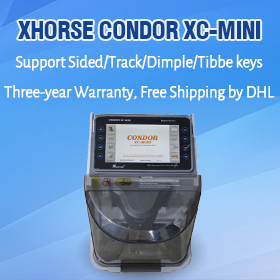 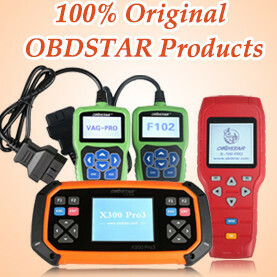 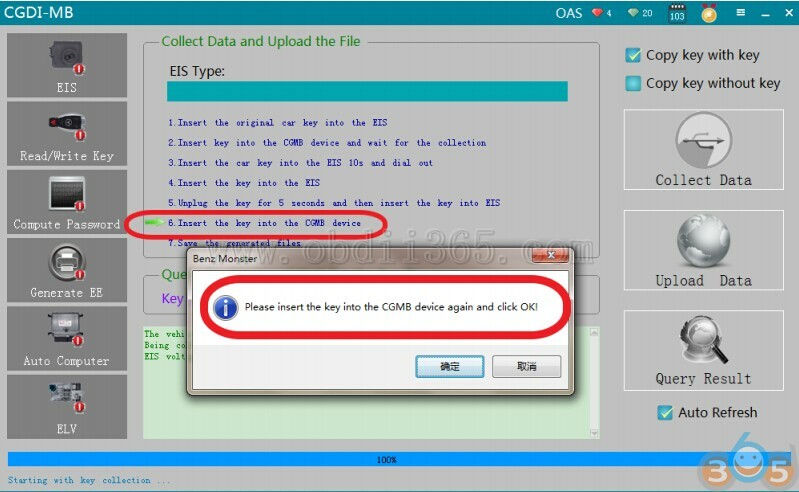 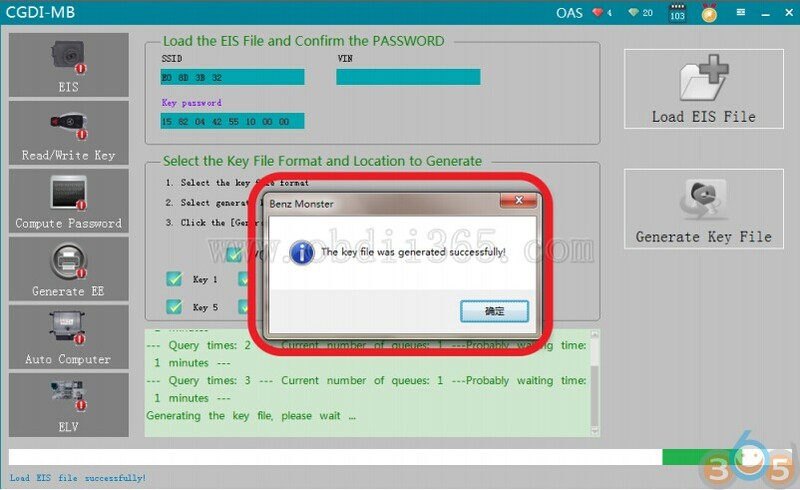 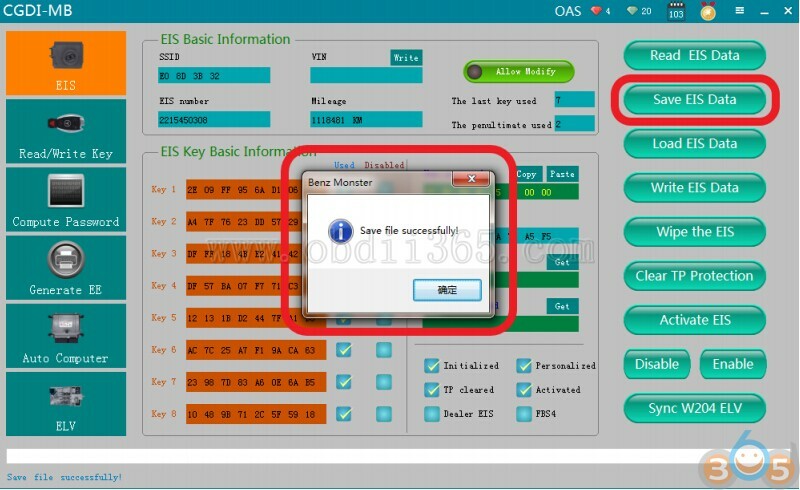 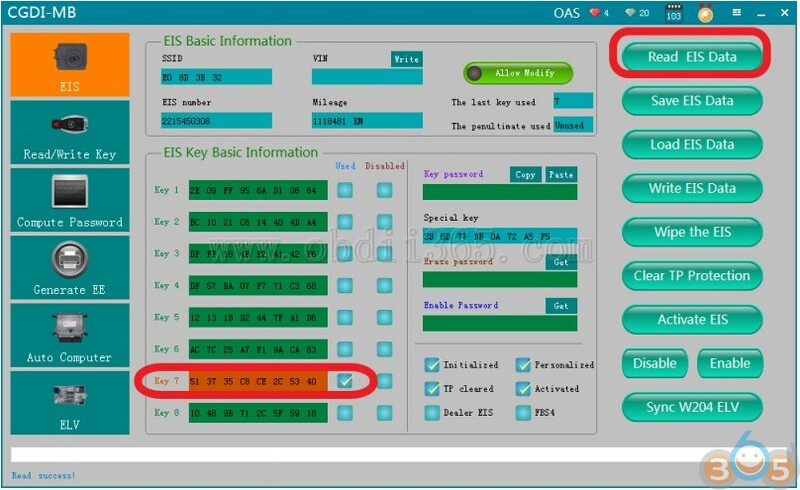 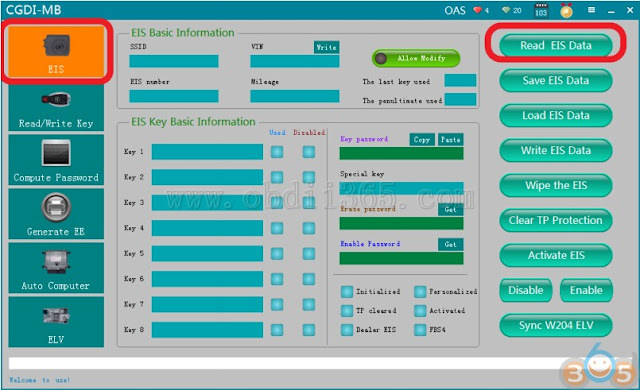 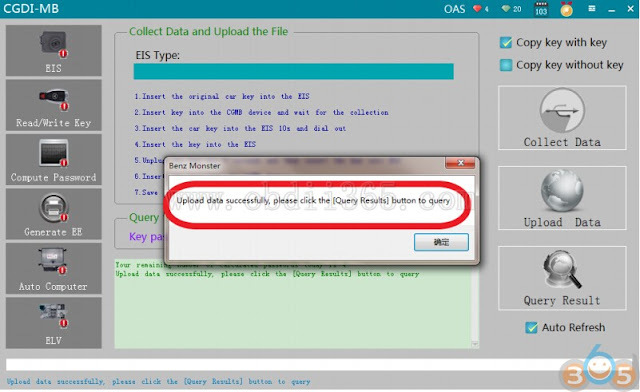 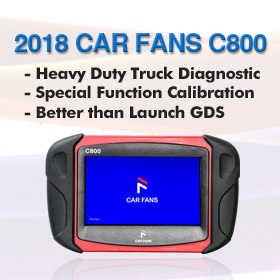 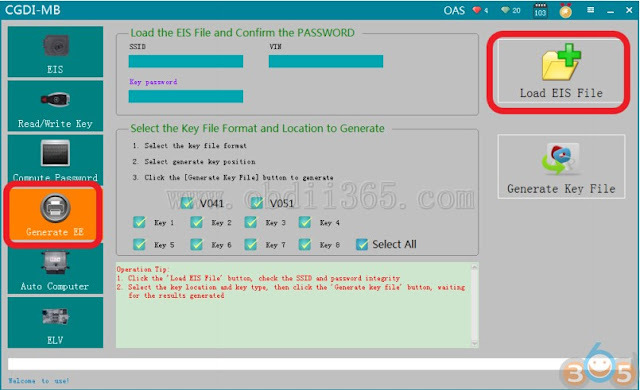 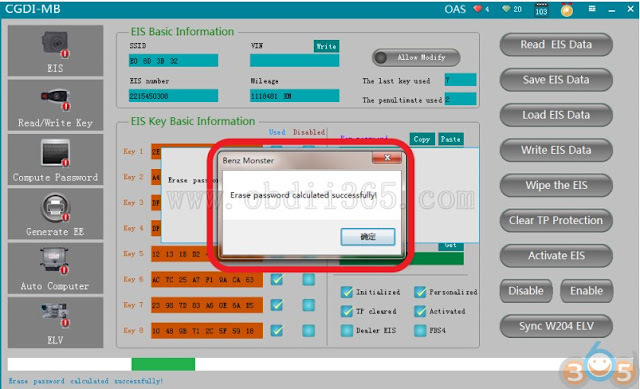 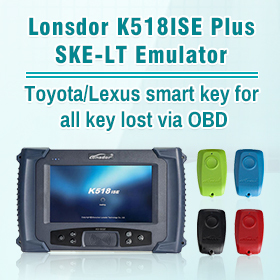 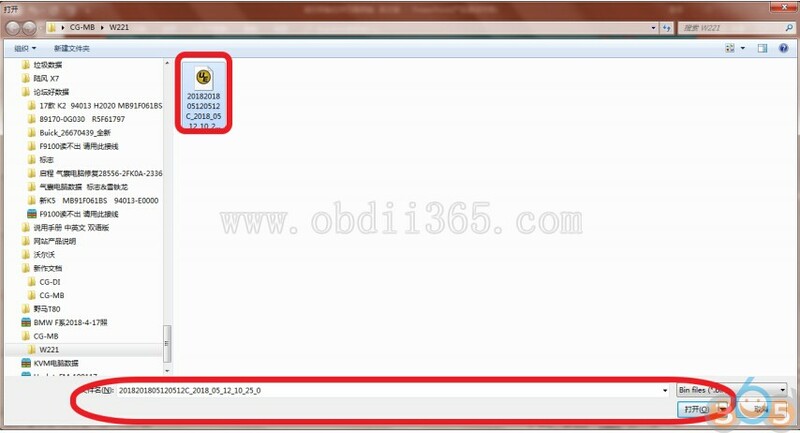 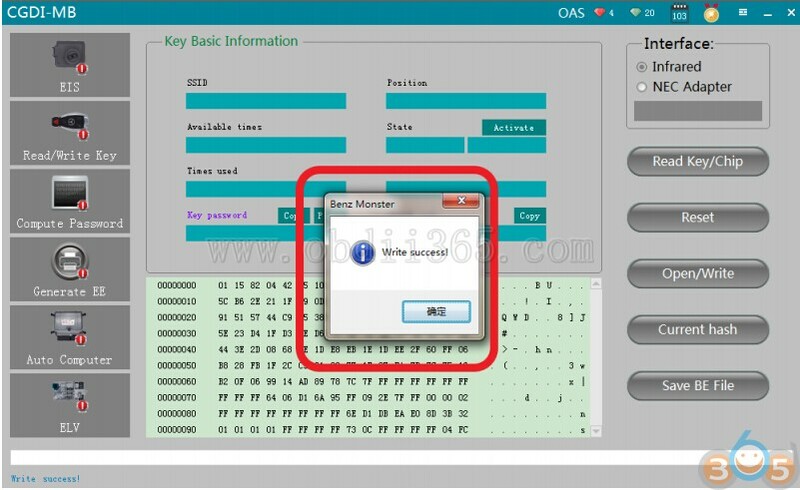 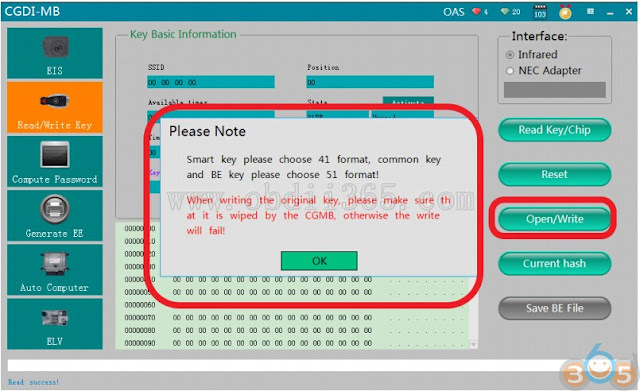 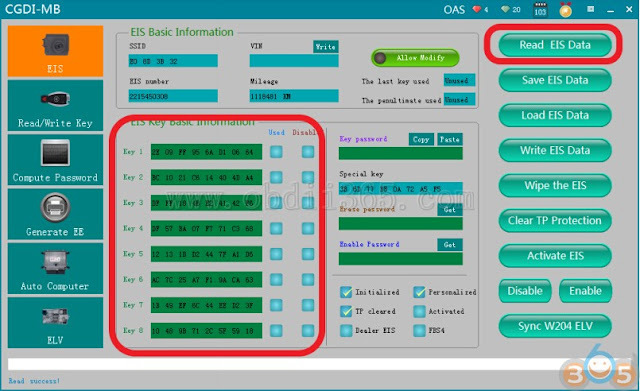 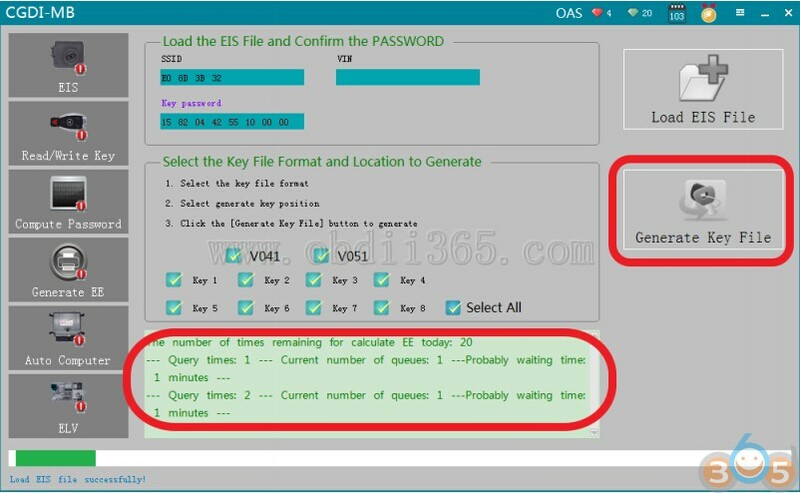 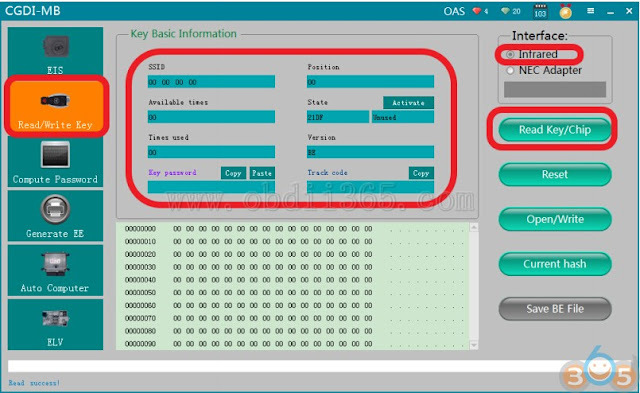 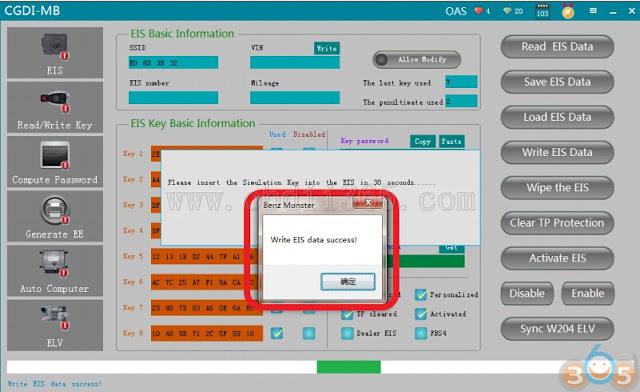 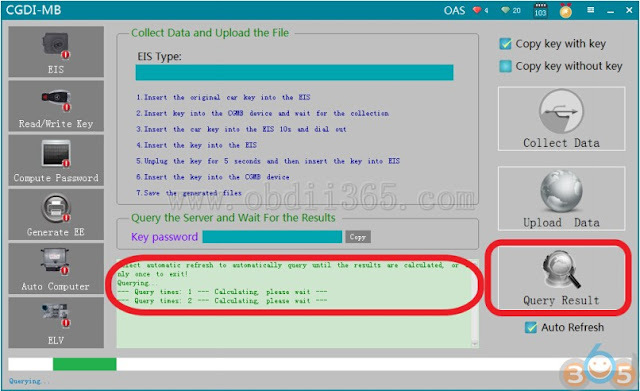 Here’s the guide to erase W221 EIS and make a new key using CGDI Prog MB key programmer. Read EIS data again，show √.